I started writing Cancerology as a guide for my brother who was diagnosed with cancer in 2017. I knew that my experience of going through the treatment of fifteen cancers over the last sixteen years would let him know both what to expect from treatment and how to deal with the effects. From the outset I decided to 'tell it like it is', and I talk about some of the things that people don't normally discuss. There is no point writing a book of this nature and not being frank and honest, so if you want to know how treatment can affect you and how to tackle cancer head on, this is the book for you. Cancerology will be released in June 2018. The title was always going to be 'Cancerology'. 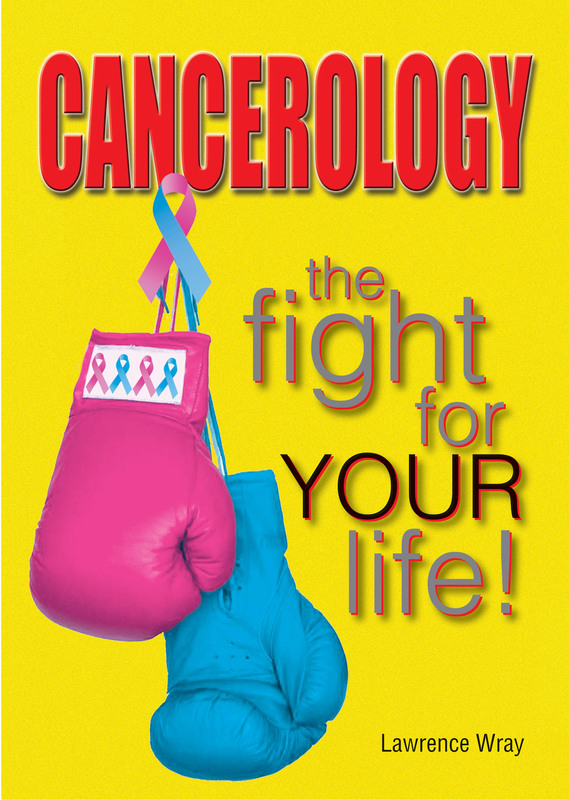 The subtitle was going to be 'The Fight of your Life', but I changed it to, 'The Fight FOR your Life', because that's what the cancer journey is. It's not an illness that you pop a few pills for. Cancer will try to kill you. The book includes the following sections. This section looks at my journey from misdiagnosis, diagnosis, treatment, side-effects, and how I dealt with everything thrown at me. The mistakes were numerous, and from research, very common, but also much easier to deal with if you know what might happen, before it does. I look at conventional and complimentary therapies, and expose alternative therapies that don't work. Websites that promise 'Miracle Alternative Cures' are also investigated in my 'I'm Not Convinced' section. Will this book cure your cancer? No, sorry, it can't do that. Will it make your journey through treatment easier? Yes. It will give you a greater understanding of what you are facing and give you tips to deal with both the side effects and mental anguish that you will experience.